The following is a guest post by Anne Wootton, CEO of Pop Up Archive, National Digital Stewardship Alliance Innovation Working Group member and Knight News Challenge winner. In this installment of the Insights Interviews series, a project of the Innovation Working Group of the National Digital Stewardship Alliance, I caught up with Emily Gore, Director for Content at the Digital Public Library of America. Anne: The DPLA launched publicly in April 2013 — an impressive turnaround from the first planning meeting in 2010. Tell us how it came to be, and how you ended up in your role as content director? 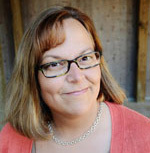 Emily: I started building digital projects fairly early in my career, in the early 2000s, when I was an entry-level librarian at East Carolina University. In the past, I’ve worked on a lot of collaborative projects at the state level. In North Carolina and South Carolina, I worked on a number of either small scale or large scale statewide collaborations. I led a project in North Carolina for a little over a year called NC-ECHO (Exploring Cultural History Online) and so have always been interested in what we can do together as opposed to what we can do on individually or on an institutional level. Standards are important. When we create data at our local institutions, we need to be thinking about that data on a global level. We need to think about the power of our data getting reused instead of just building a project for every institution — which is where all of us started, frankly. We all started in that way. We thought about our own box first, and then we started thinking about the other boxes, right? I think now we’re beginning to think broader and more globally. It’s always been where my passion has been, in these collaborations, especially across libraries, archives, and museums. 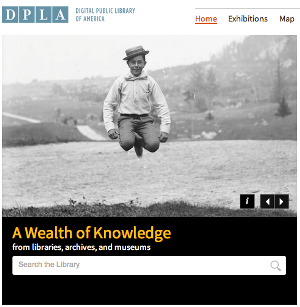 I was involved in the DPLA work streams early on and saw the power of promise of what DPLA could be, and I jumped at the offer to lead the content development. At the time, I had taken an associate dean of libraries position and been at Florida State for about a year, and it was a real struggle for me to think about leaving, after only being somewhere for a year… but I think, I guess we have to take leaps in our life. So I took the leap, and you know, I think we’re doing some pretty cool things. We’ve come really far from when I started last September, really fast. I haven’t even been working on the project for quite year and we’ve already aggregated millions of objects and we’re adding millions more. I love all the energy around the project and that a lot of people are excited about it and want to contribute. One of the first projects I coordinated was with a local farm museum, dealing with the actual museum objects, and marrying those with the rich text materials we had in the library’s special collections. And telling a whole story — people being able to actually see those museum objects described in that text. I just saw the power of that kind of collaboration from early on and what it could be more than just kind of a static, each-one-of-us-building-our-own-little-online-presence. The concept of the DPLA has really been a dream for me, to take these collaborations that have been built on the statewide, regional and organizational levels and expand them. Anne: There are ongoing efforts in lots of countries outside the United States to create national libraries, many of which have been underway since before the DPLA. Are there any particular examples you’ve looked to for inspiration? Emily: Europeana, a multi-country aggregation in Europe, has been around for about five years now. We’ve learned quite a bit from them, and talked to them a lot during the planning phase. They have shared advice with us regarding things they might have done differently if given the opportunity to start again. One particularly valuable piece of advice has been not to be so focused on adding content to DPLA that we forget to nurture our partnerships and to work with our users. Of course, my job is largely focused on content and partnerships, but we really want to make sure that the data we are bringing in to DPLA is getting used, that there are avenues for reuse, that people are developing apps, that we continue to make sure the Github code is updated, and that everything is open and we promote that openness and take advantage of showing off apps that have been built, encouraging other people (through hackathons, for example) to build on what we’ve got. Europeana has also done a lot of work building their data model, and testing that data model, and making it work with their partners. That’s been a huge help for us starting off, to take their data model and adapt it for our use. They’ve also held rights workshops — Europeana formed 12 standardized rights statements starting with CC-0 and various Creative Commons level licensing, down to rights restricted or rights unknown. We all need to work with our partners to help them understand their rights and their collections better, and to place appropriate rights on them. Most of the collections we see coming in are “contact so-and-so,” “rights reserved,” that kind of thing. This is largely because people are afraid or there is a lack of history regarding rights. We want to work with Europeana and our partners to clarify rights regarding reuse for our end users. Europeana has started to work with their partners on that, and we want to do that together, so that the rights statements are the same between organizations, and we promote interoperability in that way. Anne: So much of the DPLA is based on state hubs and the relationships that existing institutions have with those state hubs. How much collaboration do you see among the states? Anne: Have the state hubs helped build relationships with small institutions? Or how has the DPLA mission and reputation preceded it in these communities? In several of the regions, because of the participation of the DPLA, people who refused to partner before are actually saying, “I want my content exposed through the DPLA so can we partner with you?” Partnerships are expanding in the hub states/region as a result of this. I think being at the national level is really helping. I think a lot of [the state hubs] are trying to do outreach and education — they’re doing webinars, they’re talking to people in their state, they’re trying to educate people about what the DPLA is and what the possibilities are. And trying to alleviate fears, where possible. There’s a lot of fear. Even opening metadata, it’s been interesting to see what people’s reactions to that are sometimes. I guess in my mind, I never thought about metadata having any rights. These states have had a challenge explaining what a CC0 license really means for metadata. I think that that has been a hurdle, but most of them are overcoming it, and partners in general are ok with it once they understand the importance of open data. They’re explaining why it’s important, and they’re talking about linked data and the power of possibility in a LOD world, and that that’s only going to happen if data is open. Anne: How do you effectively provide context for these 4,000,000+ digital records? How do you root a museum artifact in the daily life of that place, and how do you do it within a given state versus across states? Emily: We’ve done exhibitions of some of the content in the DPLA so far. We have worked with our service hubs to build some initial exhibitions around topics of national interest. Our goal initially was for different states to work together to help provide data from multiple collections. That happened on a very small scale. Mostly the exhibitions were built with collections from their own institutions, largely because of time constraints we were under to get the exhibitions launched. But also, it’s easier. You know the curator down the hall, you can get permission to get the large-scale image that are needed to actually go in the exhibitions. We did have some exceptions to that; we had a couple of institutions work together and share images with the others. We hope to do more of that — we pulled out 40 or 50 themes of national significance that we could potentially build exhibitions around and there are a number of institutions who want to build more. Right now we’re working on a proposal to actually work with public librarians in several states, to reach some of the small rural public libraries that may have some collections that haven’t been exposed through the hubs, that would in turn help build some of these exhibitions at a national level. And those would be cross-state: local content into national-level topics of interest. We’re also doing a pilot with a couple of library schools on exhibition building. And we’ve given them the same themes, and they’re going to use content that already exists in the DPLA. Anne: You mentioned hackathons and encouraging people to build things using the DPLA API. What are people building so far? Emily: To date, I think there are approximately nine apps on the site. There is a cross-search between Europeana and the DPLA — a little widget app where you can search both at the same time and get results, which is awesome. That was built early on. Ed Summers built the DPLA map tool that automatically recognizes where you are so you can look at what DPLA content is available around you. The Open Pics app is iOS-based — you can search and find images around all the topics in the DPLA and use them on your phone. It’s pretty cool. Culture Collage is the same kind of app – it visualizes search results for images from the DPLA. StackLife is a way to visualize book material in a browsing way, like you would actually in the stacks in a library. We also hope to continue to have hackathons, we’ve talked a little bit to Code for America and hoped to get more plugged in to their community, and we were involved in the National Day for Civic Hacking, and we’re hoping to continue to promote the fact that we do have this open data API that people can interface and build these cool apps with. We really want to encourage more of that. Anne: Explain your vision for the Scannebago mobile scanning units. Emily: When I was working in North Carolina years ago, we did a really extensive collections care survey of all the cultural heritage institutions in the state of North Carolina — about 1,000 institutions. That survey took five years and two or three different cars! We surveyed these cultural heritage institutions looking specifically at their collections care and the conditions that their collection were in, but also with an eye toward what might need to be preserved for the long term, what needs to be digitized and made available, what are their gem collections that we could essentially help them expose? We saw so many amazing collections that, without physically going to these institutions, you would never ever see. Take the Museum of the Cherokee Indian as an example. There we discovered wonderful textiles and pottery and other collections that, unless you physically go there, you will likely never see. And of course, like most museums, they only display a small portion of their collection at any time. Otherwise the collections are in storage, and on shelves, and until they rotate those collections in you never see them. It’s not only in North Carolina where we find those examples — it’s everywhere. The ability to see those objects online, I think, is so powerful. And even to potentially tell that rich contextual story, build exhibitions around that, talk about the important history there — I think can be very powerful. But we know that it took a trust relationship for us to even go there and survey their collections. There had to be a trust relationship built, instead of, “Hi, we’re from the state government and we’re coming here to survey your collections.” Obviously that is not really what a lot of people want to hear. So [during the North Carolina survey] we worked with cultural heritage professionals who had existing trust relationships with institutions and they helped us forge our own relationships. In the end, most institutions were confident that we were indeed only there to survey the collections, and that we had good intentions to help get funding, to help preserve these collections for the long term. We use that network a lot. We’re not going to get local content without the local people, without the connections, without the trust relationships that have already been built. These people aren’t going to let materials out of their building to be digitized. They’re not going to send them to a regional scan center, or a statewide scan center — they’re just not going to do that. They care about those objects so much — they represent their history, and in many cases they’re not going to let them out of their sight. We have to come to them — how do we do that? Some of these places are up these long winding mountain roads — how in the world do we get up here, and how in the world do we get equipment to them to get this done? That’s where I came up with the concept of a mobile digitization vehicle that I called a Scannebago, a Winnebago shell that we can build out with scanning/camera equipment to get to these rural and culturally rich institutions. That’s the concept. People ask me about taking content directly into DPLA, and I think the importance is the sustaining of that content. Somebody has to be responsible for the long term maintenance of that content — and at this point, that’s not us. We’re aggregating that content, exposing that content for reuse, but we are not the long-term preserver of that content. And these small institutions are not the long-term preservers of that content either — that’s why the hubs model continues to be important. When we go out with the Scannebago, I still want that digital material to go to the hubs to be preserved for the long term. The Scannebago is another way to make content available with its appropriate metadata through the DPLA, but we really want to see the digital objects preserved and maintained for the long term at some level, and right now that’s through the hubs. It doesn’t have to be geography-based — hubs could be organized around media type or organization type. But right now, a lot of these relationships exist already based on geography, so it seems logical to continue to build out hubs by geography as we build out other potential collaboratives as well. The Scannebago has always been a dream — I had really hoped when I was working at the state of North Carolina that we’d be able to do it on some level, and it just didn’t become a reality — but John Palfrey (Head of School at Phillips Academy, Andover and chair of the DPLA board of directors) heard about what I wanted to do and picked it up and was really excited about the potential of doing this. We’re drawing out a schematic of what it would look like. We might potentially launch a Kickstarter campaign to try to build one out in the future. We really want to at least pilot the concept. I would also love to do a documentary on it — I think the stories we’ll find when we actually get to these places are just as important to preserve as the content — the curators, the people who are looking over this stuff and how important it is. I get chills just thinking about it, but one step at a time. One step at a time. This is a syndicated post. Read the original at The Signal: Digital Preservation 2013-10-28.